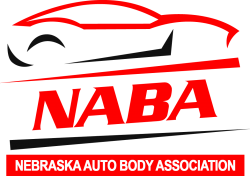 The Nebraska Auto Body Association offers insight, education and more to help collision repairers. This association has a history of active industry involvement and recognizes the dramatic shift in our future. New technology, autonomous driving modules, new repair materials, specific training, insurance company restrictions and important OE Certifications are recognized by this association. We encourage repairers to become members of this association and join the path to higher standards. No one should be alone. There is strength in numbers.